Youth Tour is in June each year. 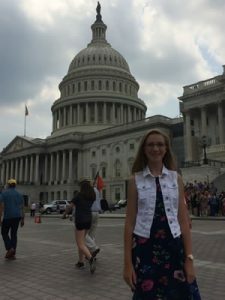 The Nebraska Rural Electric Washington Youth Tour is an annual, weeklong, all-expenses-paid trip to Washington, DC, that is open to high school students who have participated in the Youth Energy Leadership Camp. Nationwide, rural electric providers from 41 states participate. In all, more than 1,700 young people from across the nation gather in Washington, DC, each year for this event. 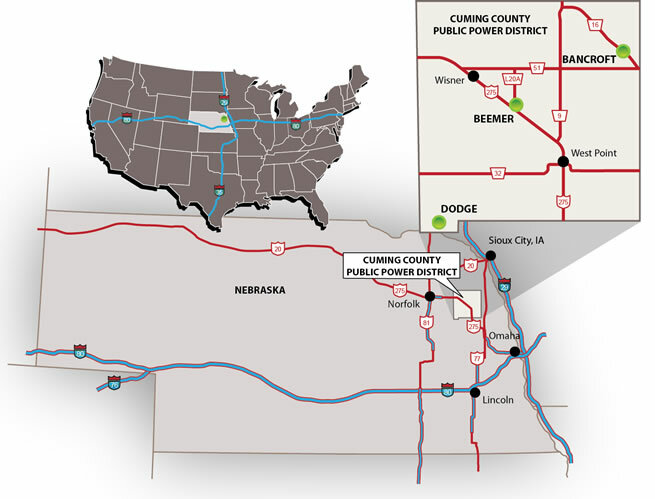 Cuming County Public Power District sends one student each year. Building students’ leadership skills so that they may make a difference in their rural communities. High school students who attend the energy camp have the opportunity to compete for a chance to participate as state ambassadors in the National Rural Electric Cooperative Association’s Youth Tour in Washington D.C. in June of the following year. All ambassador expenses are paid by the Nebraska Rural Electric Association and through a scholarship provided by the Cooperative Finance Corporation. Three students are selected by their peers to serve as ambassadors. The Ambassador competition involves submitting an application at Youth Energy Camp, presenting a self-introduction speech, and delivering a five-minute speech on an assigned topic. Each camper votes for three candidates following the speech with the top male, top female and person with the next highest vote total becoming next year’s ambassadors. The top six finalists and ties are invited to return to next year’s Youth Energy Camp as junior counselors. Anyone who has attended camp may also have the opportunity to attend Youth Tour as a delegate of their local rural electric provider. Not all systems participate and application procedures will vary. Those who are interested should contact their local rural electric system for more information. Nebraska delegates and ambassadors tour the Nation’s Capitol including the National Mall and the Smithsonian Museums. Participants will have breakfast with the Nebraska congressional delegation and they will visit congressional offices. Trips outside the Beltway include a visit to Gettysburg and Mount Vernon. 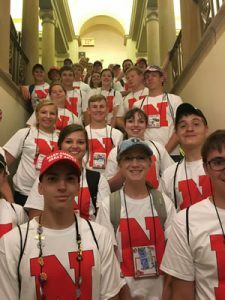 The Washington Youth Tour is sponsored by the National Rural Electric Cooperative Association (NRECA), the Nebraska Rural Electric Association and participating members of the NREA. NREA Assistant Director of Government Relations and Grassroots Coordinator, James Dukesherer, serves as Youth Tour Director.